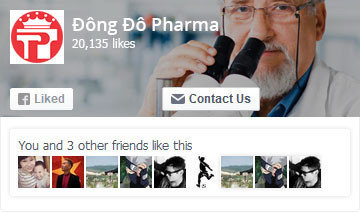 I am very pleased to introduce you to Dong Do, one of the nation’s most reputable pharmaceutical companies. At Dong Do, we are dedicated to innovating pharmaceutical products for major unmet medical needs. We have launched a steady stream of pioneering therapeutic products and services based on our continuous search for better ways to treat ailments, maintain and restore health. We have played an essential role in providing products for therapeutic areas such as Thrombosis Stroke, RDS, Renal Failure Diseases and Cancers, with a number of projects aimed at supporting those who cannot afford their own treatments. The strength of our pharmaceutical businesses, coupled with clinical trials, enable us to provide therapeutic approaches tailored to individual patients’ needs. Our products and services address both prevention and treatment of diseases and monitoring of treatment response. In the future, we hope to have opportunities to screen for genetic risk factors in cooperation with manufacturers in order to address the entire pharmaceutical spectrum, thus, enhancing well-being and quality of life. During more than ten years of our operation in the pharmaceutical industry, we have been aiming at bringing high quality with affordable products to our people, by which we contributes partly to the Vietnam’s healthcare system. With various distribution channels across the country, our mission is to bring our range of products to individuals nationwide. Together with the global pharmaceutical development, we are committing to develop further through enhanced cooperation with worldwide organizations to introduce initiative, advanced, and quality products to our market.